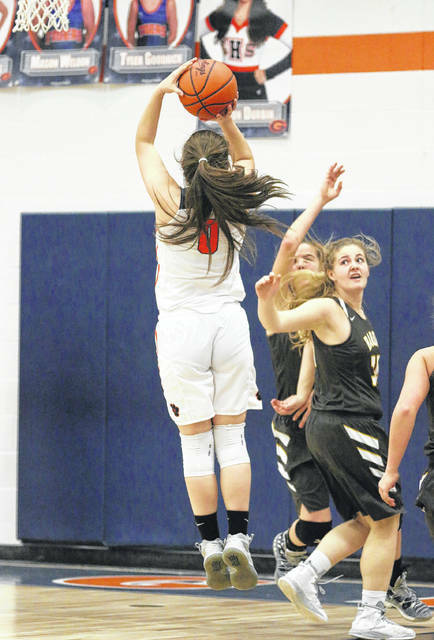 GALION — Galion dropped a 48-34 decision to Buckeye Valley on Thursday in Mid-Ohio Athletic Conference girls basketball action. Galion falls to 2-19 overall with just one game remaining and finished the conference season at 0-14. For the fourth year since entering the MOAC, the Lady Tigers failed to earn a conference win. Buckeye Valley improved to 13-6 overall and 7-4 in the MOAC. 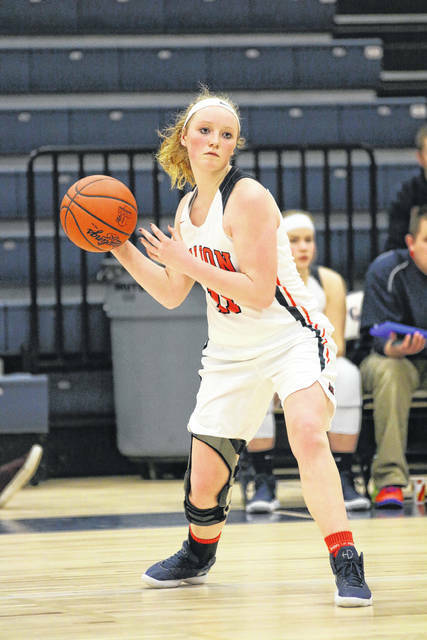 The game started with two quick three-point buckets from the Lady Barons, but Galion settled in and and went into the second quarter down 16-9. A low-scoring second quarter also would go in favor of Buckeye Valley and heading into the half Galion trailed 28-17. In that first half, Galion was led by six points from Julie Clouse, five points a piece from Gracie Groves and Kelsey Hoffman. The Lady Tigers shot an impressive 4/8 from three-point range to keep the game within reach. Galion held the Barons to just eight points in the third but only managed nine points themselves to trim their deficit to 48-34 starting the fourth period. Hoffman finished with a dozen points to lead the Lady Tigers. Hoffman also grabbed two rebounds and an assist while finishing a perfect 4/4 at the charity stripe. Clouse had 10 points as well as two boards, two assists and a block. Groves wrapped the contest with nine points, two rebounds, a steal and a block. Other stats for the Tigers on Thursday were: Team- 5/18 from the interior, 6/14 from the perimeter, 6/11 at the free-throw line, 16 rebounds, 5 assists, 4 steals, 3 blocks and 16 turnovers; Debord- 4 rebounds, 1 steal, 1 block; House- 1 steal; Alexis Chaplin- 1 rebound, 1 steal and Morgan Kimble- 4 rebounds, 2 assists. Buckeye Valley shot at a 15/36 clip from the inside, 3/7 from the outside, 9/15 at the foul line while recording 28 total rebounds (14O, 14D) and committing 12 turnovers in the win. The Lady Tigers will host the East Knox Lady Bulldogs in their final regular season game on Saturday. The junior varsity game starts at 5:30 p.m,. instead of the usual 6:00. SYCAMORE — Mohawk beat Galion 38-33 in non-league action Tuesday. The Lady Warriors moved to 4-16 overall on the season with the win and currently sit at the bottom of the N-10 standings at 2-13 in conference games. Galion trailed 14-9 after the first eight minutes, but ralliedto take a 19-18 advantage into the locker room at halftime. After three quarters of play, the score was 28-28 points apiece before Mohawk outscored Galion in the fourth to secure the victory. Clouse and Groves had big games for Galion, scoring 17 and 13 points, respectively. Groves would also snag 10 rebounds to earn a double-double for the contest.